Msd ignition and 1 wire alternator. The car came with 3 coils all hooked up(No idea). We removed them and installed a Msd digital 6, coil and distributor. At the same time we installed a 1 wire alternator. Im pretty sure i know the answer but i wanna make sure before jumping the gun. With having the full msd system am i able to remove the control module and resistor mounted on the firewall and any wiring related to those? With having a single wire alternator is there anything else i can remove? 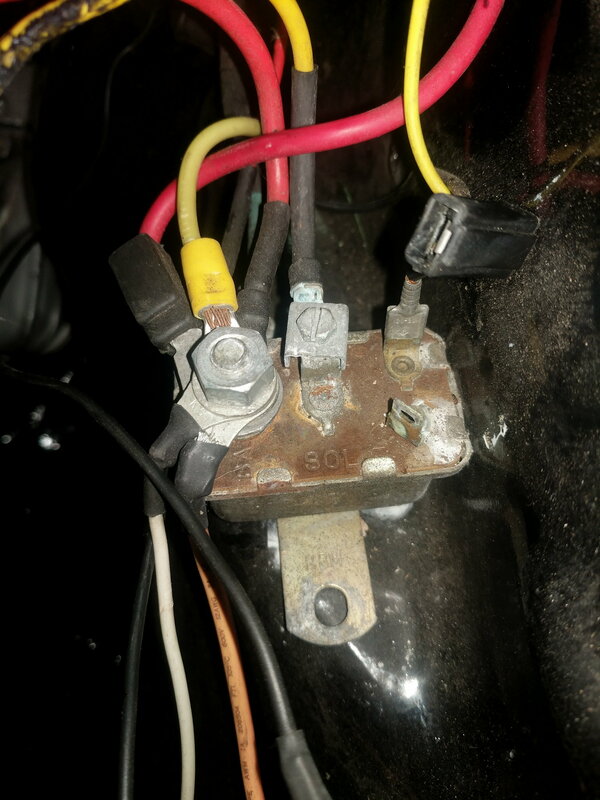 The wiring in this car is a **** show and it has new wiring doubled ontop of old that doesnt go anywhere. Last edited by twalt87; 06-09-2018 at 03:50 PM. Sounds like you have to re-wire it anyway.... I would Chit can it, if your not using any of the other wiring. So that box on the firewall doesn't run anything else? Just the old ignition system? Just making sure I can cut it all out and turf it. I know what the ballast resistor and ecu are but not sure what this is. Yea I figured it out after I posted. My to edit my post. What have you guys done to either get rid of or improve the bulk head connectors? I know I can drill them out and hardwire the connections together as an option but I'm curious if there's a better solution? Ok more questions here. Moved the battery back to the front of the car, Most of the stuff I don't need has been removed. Currently fixing all the wires that connected to the ammeter wiring. Im following the mad article but i feel like theres a better way. Im using a dual terminal battery so my alternator and main starter wire run direct to the battery. keeping the bare minimum for wires going to the starter relay as its an eyesore. Also instead of connecting the red and black wires together for the ammeter Im going to leave the red wire disconnected on both ends, then going to run a heavier gauge wire to a sealed power junction block. Add ring connectors to all those spliced wires and put them on there. Any problem with this? I have one laying around. I have some other wires that are melted though and im just wondering if its also common? You could delete the amp gauge if you would like and just run a volt gauge? Nothing wrong with a common positive stud junction, In my opinion. It has a Gauge bank on the dash with a voltmeter. Most of the gauges don't work. Quick Reply: Msd ignition and 1 wire alternator.